Lately I have been seeking out and watching western movies. 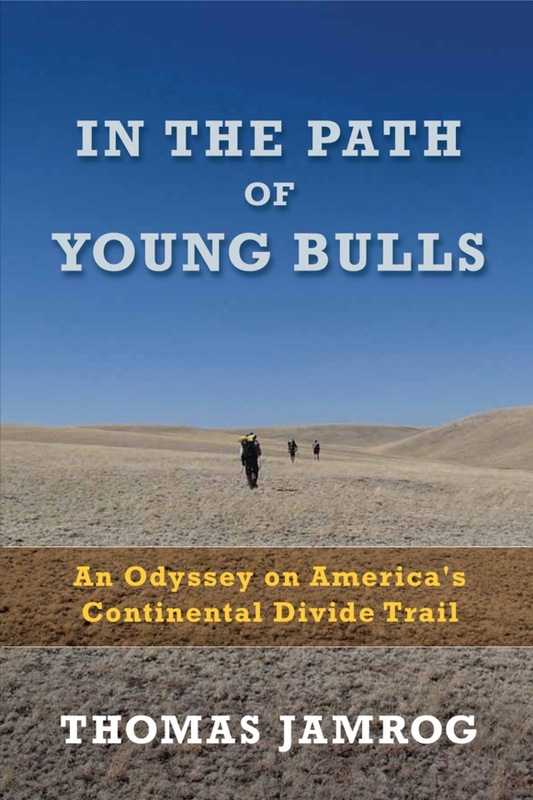 I’ve seen dozens since I have returned from my 5 month backpacking trip over the Rocky Mountains, in completing the Continental Divide trail. I like viewing these movies because seeing the landscape brings me back when life was simpler, but often painfully interesting. No two days were the same. Meek’s Cutoff is a movie that captures that bleakness. 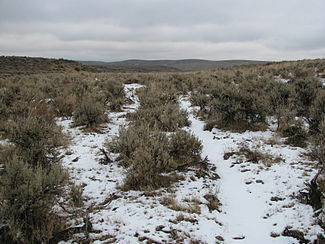 A retelling of a true story, the movie is set in 1840’s eastern Oregon. I found the trailer, so you can check out the vibe and see if you can handle the movie. There isn’t much dialogue , hardly ever violence, but the actual walking is exactly the same as it is today- hot, boring, and dry. Here’s a longer, detailed review that contains spoilers. Yes, it’s a weird movie- love to get some feedback from others about it. It’s available from Netflix, as a DVD only. 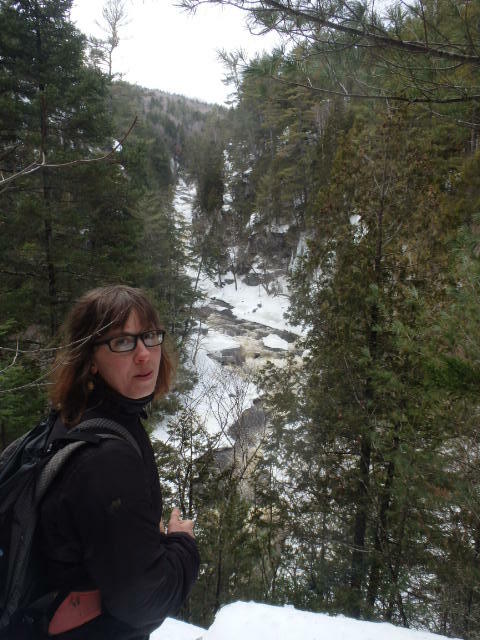 Carrot Quinn is one of my favorite writers about long distance backpacking. Three buddies are heading up with me to the Jackman, Maine wilds next week for a five day winter camping trip. Read another superb blog post from UK’s Paul Kirtley, blogger, wilderness bushcraft instructor, and general expert in outdoor skills. Paul’s blog entry has loads of info about how we will survive, in style. Click it! – How To Live In A Heated Tent. 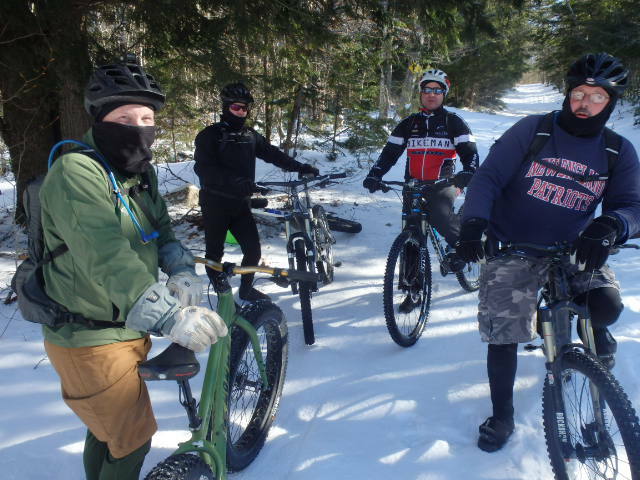 It was 12 degrees when we started and 12 degrees when five Bubbas completed this Sunday’s ride at the usual winter place, departing from Warren Community School parking lot. There had been an ATV out there, probably sometime yesterday, before a couple of inches of fresh snow accumulated over the track. The going was a bit slow, more grinding of gears to get as far as we are used to going. No water at all, the streams and boggy sections are rock solid now, after more sub zero nights. 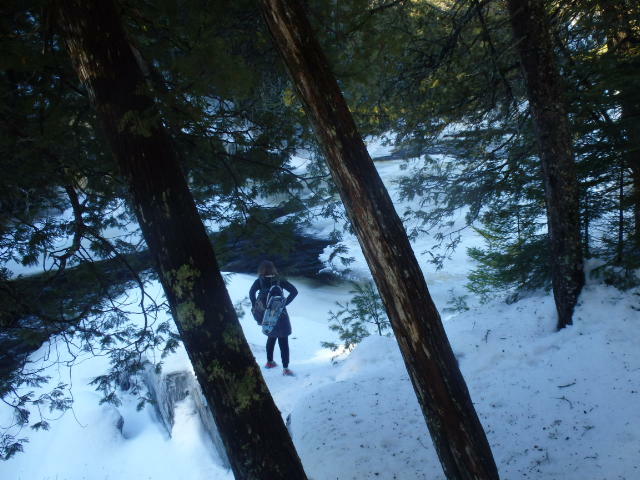 John Anders might have been working on cleaning up the trail from Stevens Corner parking lot to Tanglewood this morning. John, you do that? Also, looks like Walter might have been out earlier today. The wind was tough- definitely over 10 MPH, putting the wind chill at below zero. Very much evident riding along the power line to get out to the woods, and on any open areas. I noticed that even in the woods, the higher points were getting hit by wind. This kept our stops short. Once, we even rode purposely slow on a flat segment instead of waiting for guys in back to catch up. I had to wear more clothing. I had the hoodie from my wool shirt up, and wore a fleece hat over that, under my helmet- had to have sunglasses to cut the headwind. I had heat packets in my boots, and inside my handlebar pogies. The bladder tube on my Camelback had to ride inside my Windstopper jacket, which didn’t feel like it was able to stop all of the wind today. As the ride went on for a couple of hours, I was getting cold. I read on Facebook that putting the heat on your chest may be more effecting than placing the packets on all extremities. Has anyone tried to see if that makes a difference? Maybe packets on all the extremities and a chest warmer, too, next time it is like this? 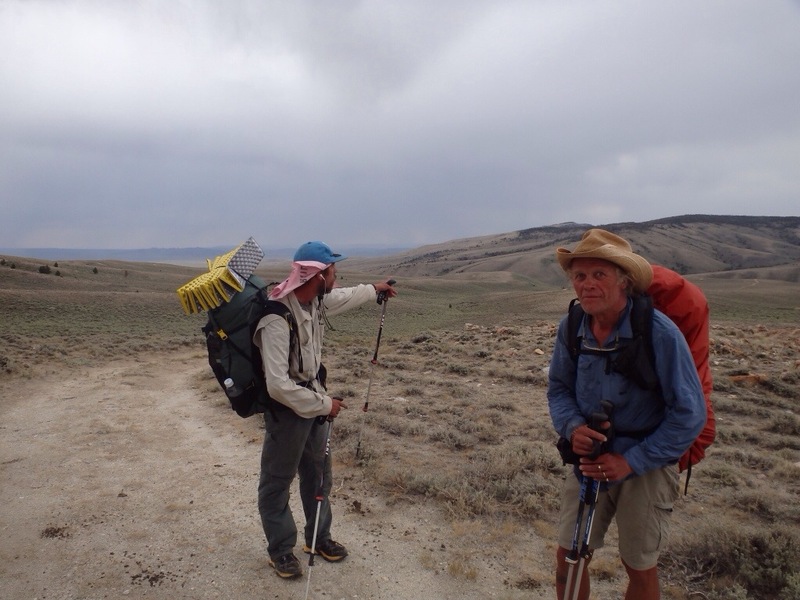 Replaying “mind tapes” from Wyoming, on the Continental Divide Trail today- through the bleak expanse of the Great Basin. Watching an old DVD- Lonesome Dove -with Tommy Lee Jones, Ricky Schroeder, and Robert Duvall. My Lord- what I have experienced for this past half-year is so big in my chest tonight- what the screen brings up surprised me. Here’s a pic of Train and I settin’ out, fueled with wishes, hopes, and fears. I am not 70, but closing in. I enjoy reading about health and aging. This article from Outside magazine was right up my alley. I am also a subscriber, so I trusted it would be useful. It is- mostly, but there appears be a research mistake in one of the recommendations, and it’s possible that you’d be hurt or discouraged from continuing your program, if you were to follow it. Q: At 70 How Do I Eliminate Belly Fat? Who will argue about strength training, eating right, and walking? No one, however, the advice about strength training is possibly dangerous. I read the abstract for the study, and there’s something wrong. It’s the one rep maximum as a reference point. I’ve been lifting for 40 years. Eighty percent of the maximum weight is totally appropriate for 8 reps, but ONLY if you are an experienced lifter. Muscles resist cycling loads and get stronger, so really strong people need to push 80 % of their max , as much as 8 times, if they are to grow in strength. 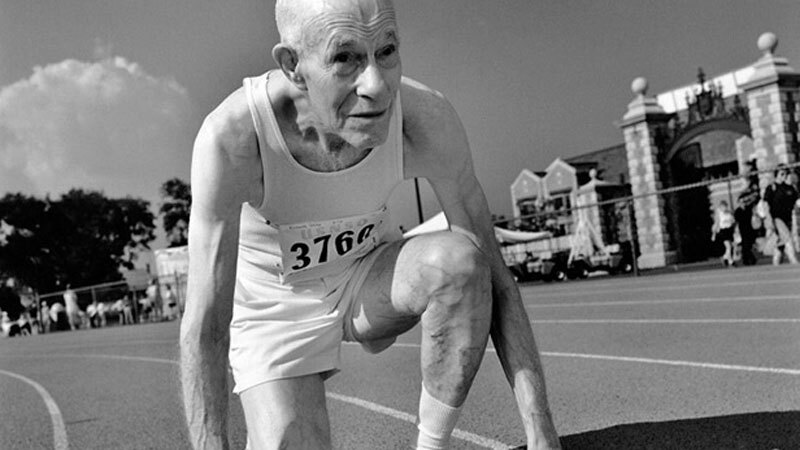 But, if a 70+ year old tries to lift 80% of their max single effort lift 8 times, to exhaustion, and not just once, but three times in a row, I see big trouble: either torn muscles, heart failure, or a desire to stay away from something so hard to do. My recommendation is to drop those reps to three sets of 4, if you are an older athlete, and your bar weight is 80 % of your maximum single push or pull. So, why did the 12 men in the study have such great results after 12 weeks? I’d bet their “trainers” were not pushing them hard enough when establishing those 1 rp maximum reps. Their maximum efforts were not true maximums. Anyone else out there agree? I carried a Garmin eTrex 30 for 5 months over 2500 miles in 2013 on my Continental Divide thru hike. I was not alone in relying on the device to find my way. When I was preparing for the hike I quickly became frustrated with the poor Garmin documentation. Their web support was no better. This stuff is not easy to understand. Nothing is intuitive about it. I needed to learn lots, and fast. One great source of hiking information, specifically about that trail, is via the CDT list serv. The following GPS set-up information has been just listed on the CDT-l by Frank Gilliand, AKA Starman. 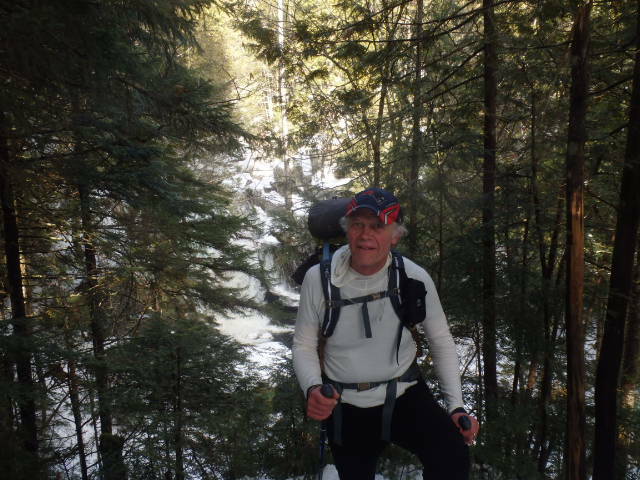 He’s known in long distance hiking circles as the guy who knows about GPS. He’s also one of the rare individuals who is able to communicate how-to-info about GPS that’s understandable by ordinary people, like me. Thanks, Starman for letting me share your info on this blog! 7) download and install the FREE Bear Creek POI file. 3) Loaded/stored TOPO Map: A USGS based map that is installed and viewable on your GPS screen and Computer. 4) Tracks are no more than “line segments” between “track points” that are drawn on software or they can be “active” tracks created in the field. 5) Routes are generally reserved for lines showing “routes” on roads. So, for hiking purposes using the phrase “routes” only confuses the conversation. Garmin does a really poor job of documenting basic operations of there handheld units and instead focuses on the bells and whistles….. I feel your pain on the jumble of words and operations. Call Garmin on their Help line and ask for better documentation. I am in the middle of planning my own Summer hikes, so I am busy and can not walk you thru “BASIC” GPS loading operation questions. 2) you should also see the loaded Bear Creek Way-point or POI point(s) near you. 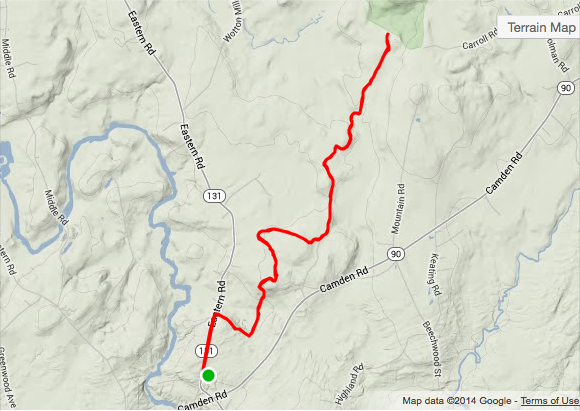 3) if you have loaded and turned on the track viewing feature you will see the trail location as a line(s). 4) If you are “Off Trail” walk towards the closest or most logical Waypoint/POI point. You are responsible for learning the operation of your GPS. In the field in the Middle of Montana is to late…..
GPS units are known to fail, batteries die and you should always have Paper Maps and the skills to use them. 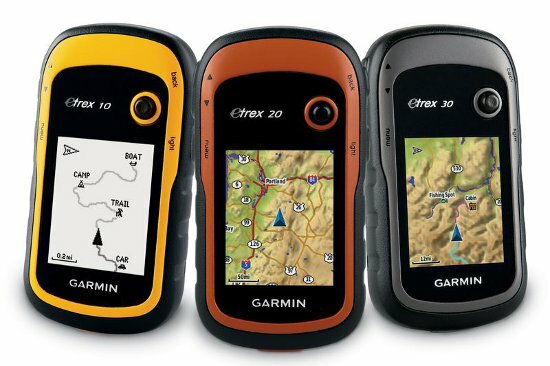 Get an Etrex 20, load your TOPO map, load the POI and Track files…….Stay Found! I’ve visited Gulf Hagas a few times over the years, the last time in 2007, as I was finishing up my thru- hike of the Appalachian Trail. Back then, it was a warm day in September, and we took a whole day to detour off the AT to explore what many consider ” a wilderness setting unsurpassed in the 2,000 miles of the Appalchian”. General Lee, Bird Dawg, Richard Wizard, Queso, Life Traveler, and I showered under Screw Auger Falls at the beginning, and then soaked in a giant pool at the Head of the Gulf that day. We were the only thru-hikers that month who took the day off to check out the gorge’s 100 foot high slate walls. Everyone’s rushing lately, even hikers taking five months off to walk in woods. In January, it’s a completely different experience. It was Bonelady’s day off from cooking meals at Little Lyford Camps and Lodge, so we were able to hike the 10.4 mile round trip together. We left at 9:30 am and were back by 2:30. Snowshoes were lashed to our day packs, but we never used them. The rains and warm temps of the last week lowered the snow cover to about a foot. 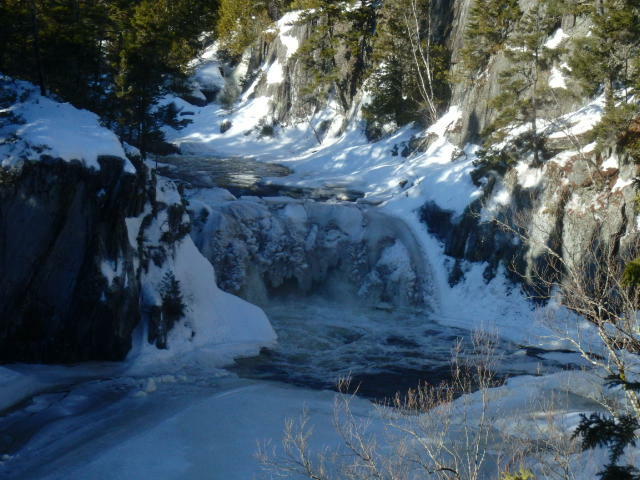 The first two miles of trail were flat and hard-packed, due to the relatively easy access to the Head of the Gulf, where most of the LLC guests stop and return after viewing the winter watercourse of the West Branch of the Pleasant River. 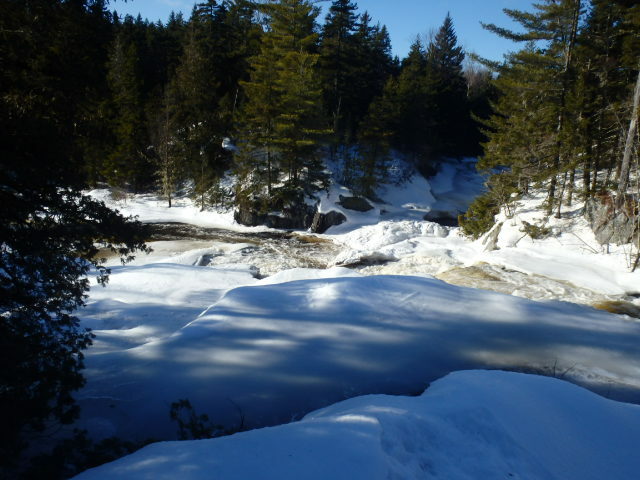 The view today featured ice, and the roaring cascades of unique, light brown-tinged water that is characteristic of the iron deposits within the bedrock here. The canyon itself is three miles long, with a trail that ascends and descends a few hundred feet, mostly along the top of the cliff alongside the raging waters below. This is the third winter that Bonelady has worked at Little Lyford Camps and she said she’s never seen the water this high. This week, five inches of rain and unseasonably warm temperatures have released unimaginable amounts of water from the melting snow cover. I’m not sure one could get through here today without traction devices. I wore a pair of Stabilicers and Bonelady was sporting her Kaltoonas. 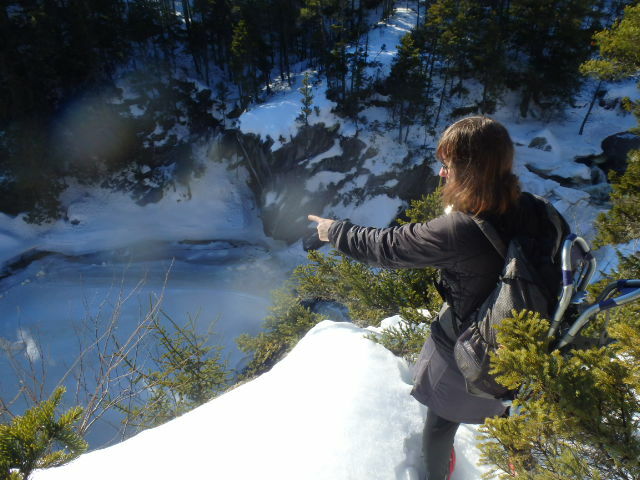 There were three steep, icy pitches on the walk where I was super careful not to fall. Thank God for vegetable handholds in the form of exposed roots and saplings. On the way back, the firm cover had started to melt, welcoming us to post holing through to our shins, with no cuts or bruises. By the time I made it back to LLC, I was seriously beat. This woman can move. My right little toe was sore, but thankfully not blistered. I am not used to walking this distance in LL Bean winter, rubber-soled boots. I am staying in an empty bedroom in staff housing for the next two nights. 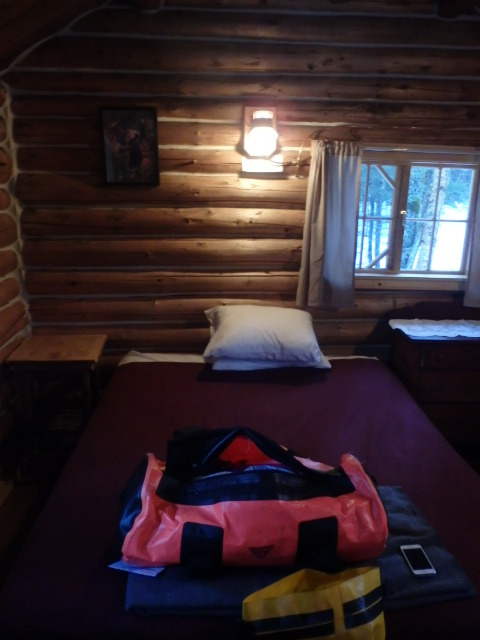 The building has been partly renovated this summer with a new wood stove and bathroom with flush toilet and hot water, heated by a Rinnai on-demand wall unit. The rest of the day was laid back. I took a hot shower, meditated for half an hour, and then hung out on the couch- reading, writing, and chatting with Bonelady. After it got dark, we took a short walk onto the frozen surface to watch the full moon rise on one end of the pond, with Baker Mountain looming up on the other end. None better. Then no rush getting over to supper of Alfredo pasta with chicken, broccoli, fresh bread sticks, and carrot cake for dessert. The wood- fired sauna had been heating up all afternoon, so a couple of sweat sessions at 180 degrees made up the after dinner program. I fought to stay awake unit 9 pm, when I trundled my way upstairs where I pulled back the curtains and threw open the window to let in the refreshingly cool night air. A giant skylight hovered above me, flooding the full moon’s magic into the room. Into the Silence I went. I left the house at 9 AM and rolled into Greenville down past the Indian Hill trading post exactly at 11. No matter how many times I’ve seen it, the view of Moosehead Lake unfolding downhill stuns me. Today, the surface of the lake is covered in standing water, with the temperatures above freezing after some 5 inches of rain and a unexpected thaw. It’s eerie. 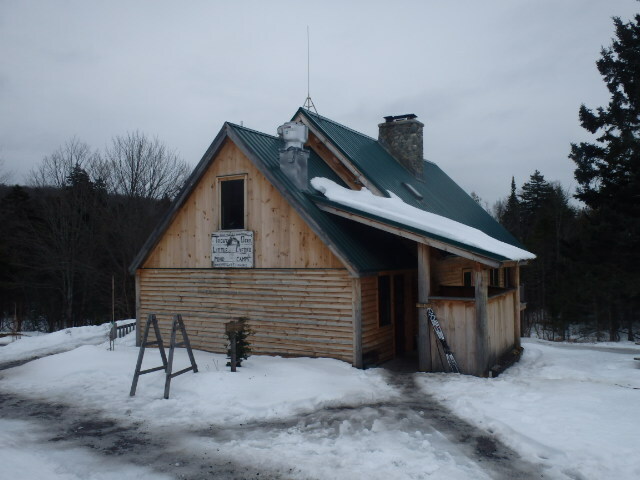 I grabbed a quick lunch of corn chowder and a hot dog, then drove out of town past the airport along the Katahdin Iron Works ( or “KI road”) for ten miles or so toward increasing wilderness and the Little Lyford Lodge and Cabins winter parking lot at Hedgehog Gate. It didn’t take long for me to become terrified. It was steadily raining now, and any sand that had been spread over the thick ice on the road had long been washed away. The roadway is essentially a lubricated, smooth ice-rink. But ice rinks are flat, and this goes up and down and pitches from side to side. The only reason I didn’t skid off was 4 newly studded winter snow tires on my 2000 Plymouth Voyager. Even so, I was so anxious and hyped up that I settled myself by “pranayama-ing” along, with one hand up on my nose, alternating yogic nostril closures while the other hand gingerly worked the steering wheel at 20 miles an hour. I knew that one mistake would skid me into the deeper snow on the side of the road, and so far there was no one else dumb enough to be out here. There were also no ” rescue me” Verizon bars showing on my iPhone. I was definitely on my own, creeping and sliding. Toward the end of the road, I saw my first and only vehicle- a white 4 wheeled drive pickup traveling in the same direction way up ahead. I thought that if I could catch it, they would see me behind them, and rescue me if they watched my head lights flash sideways if and when I skidded off. I knew I was in trouble as I advanced up the last long uphill. I was coming up the hill faster than they were to the point where I had to start slowing dow or I would run into them- uphill! Why were they going so slowly? Momentum was the only way I could make it up. If I had to stop on the hill, I would not be able to start uphill again, and would likely have to back all of the way down to a flat spot and try again. Miraculously, I crept to the top behind them, and there was the sanctuary of the parking lot. 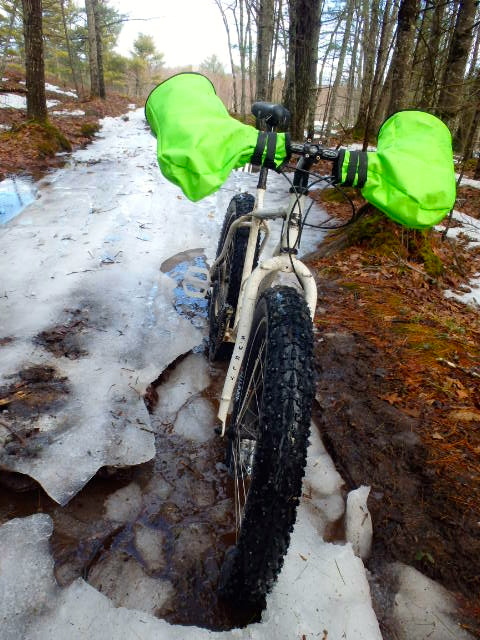 The lot itself was so icy that I had to put on my traction devices just to unload my gear, including my Pugsley. The three guys in the truck were also headed into Little Lyford. You unload your gear here into a little kiosk where a snowmobile trailers it into LL at 2 pm every day, allowing the unfettered guest to ski or snowshoe 6.2 miles into camp. The driver of the truck was shocked to hear that my vehicle was not all wheel drive. They were experienced outdoorsmen, and worked in the military- aviation mechanics. I learned why they were moving so slowly. This was their second attempt at coming in this morning. The first time, they actually turned around and went back to Greenville where they bought chains to attach to the wheels. The slow speed was necessary to prevent centrifugal force from stretching the newly-installed chains. Slow and steady worked for them, as it did for me. I am definitely an oddity with my bike here. In fact, I had to get permission to ride to LL this winter season. Yes, I’m the first fat-tired bike rider to cruise the winter road to LLC. I gambled that the surface would hold me up and won. The other three Bangor guys walked in with the aid of traction devices, taking them two hours and 45 minutes, an average time for foot travel. I, on the bike, clocked in at 1 hour and 3 minutes. All my practice with recent ice riding trips in midcoast Maine for the past two weeks paid off. Using my studded 45N tires made a fall-free entrance possible, running 3.5 psi front and rear. I had a blast. I’m here at the invitation of my new Triple Crown backpacking friend Bonelady, who is the head cook this winter, her third in a row. 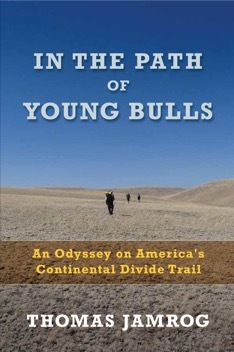 We had been Facebook CDT 2013 Group acquaintances until we met face to face on the Continental Divide Trail this season. I have wanted to stay here for a few years now, but it has never materialized. Turns out, the guest count is nonexistent at mid-week , and I promised to be no bother. 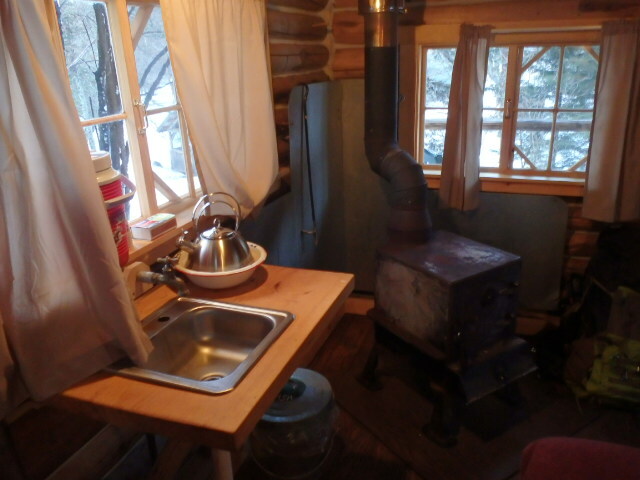 I’m staying in Little Lyford’s littlest cabin tonight. I overheated it. Bonelady warned me that it would probably be too warm, but even with a one stick stoke at 4 pm, by my bedtime after 9, it must have been over 80 degrees inside. 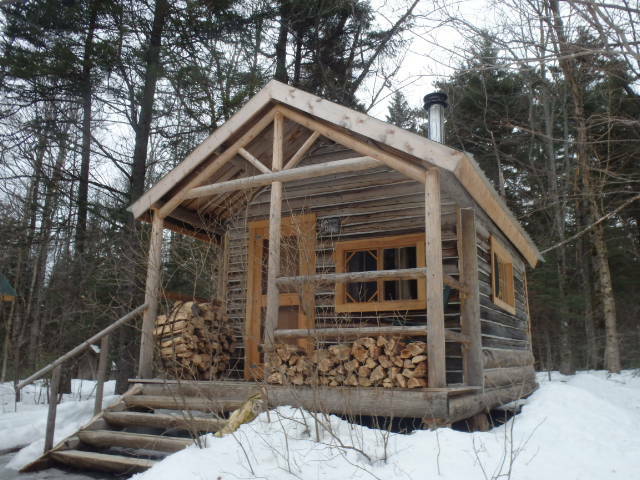 The log walls and metal roof hold the heat. There’s a coupe of propane lights on the wall with an ancient outhouse out back. Little Lyford camps have been in this exact location since it was started up as a lumbering camp in 1870. The Appalachian Mountain Club has owned it for the past 10 years. It is a thrill to experience this setting. And yes, the food is superb, and plenty of it. 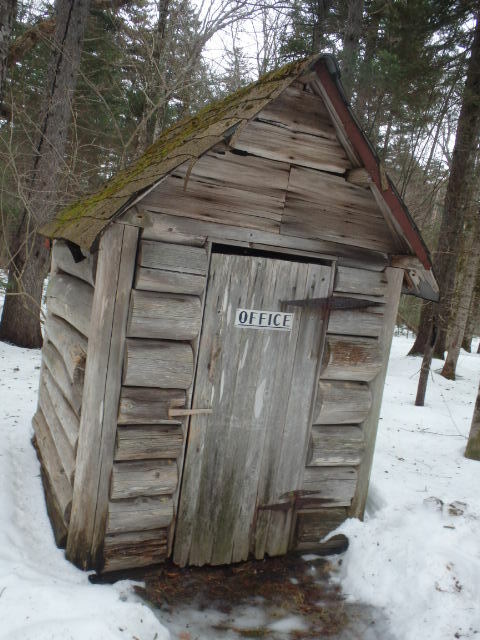 To read more about Little Lyford check out Village in the Woods from the January 2014 issue of Downeast Magazine. 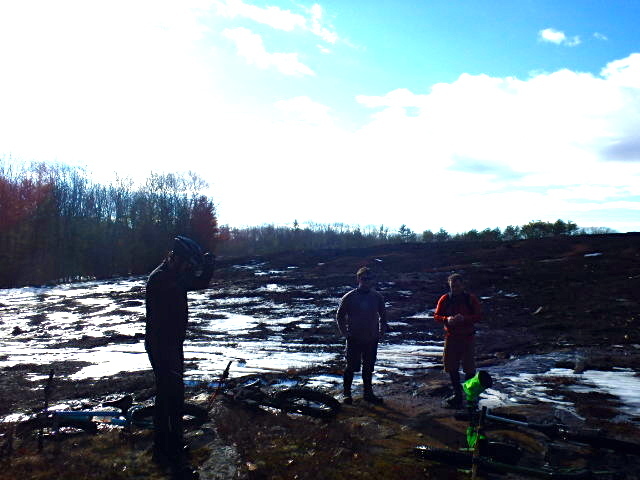 Sunday’s ride marked the end of our visit on top of the remains of the ” crystal palace” around here in coastal Maine. The ice that we have encountered for the past couple weeks is gone. 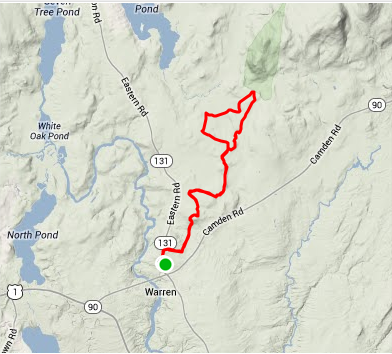 Five riders made a relatively quick out-and-back 10 mile run from the Warren Community School Parking lot. We encountered sections of sheer ice that were over a half mile long, with some portions under water that was flowing across the surface. 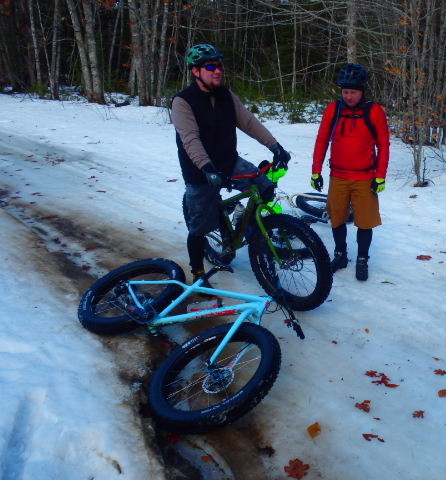 Ian and I were on studded 45N tires, Jason had unstudded 45N tires, Walter had Surly Nates. The Hawk never complained while churning away strong on regular 26″ tires. Ian declared that studded tires were a good purchase for these conditions- he was consistently far ahead of the rest of the pack. I even passed Jason once. THE ONLY way that happened is because of the metal pins protruding from my tires. Walter did OK on his unstudded set, but stated that he is planning to buy a set of studded 45 N’s. Sidecountry in Rockland has some. At times, he was slipping and sliding. Walter told me that Bath Cycle already sold out of the 30 pair that they had a couple of weeks ago. 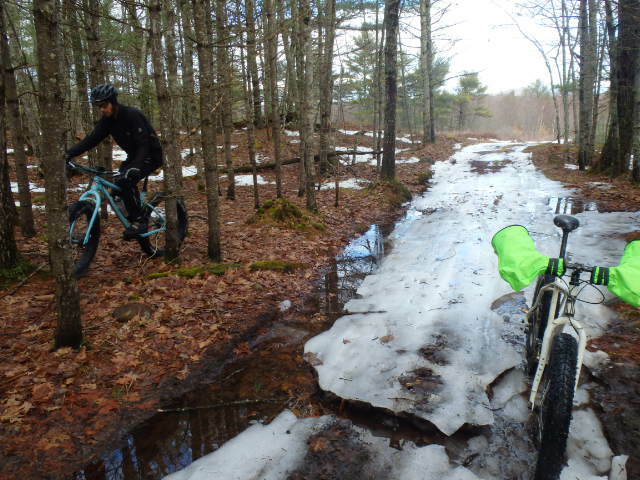 Enough snow had melted to set up detours around the ice. The feeling of rolling over glistening ice is unique. I expected to go down at some point over the two hour ride, but never did. Did I tell you how much I am enjoying the winter, while riding my Pugsley?